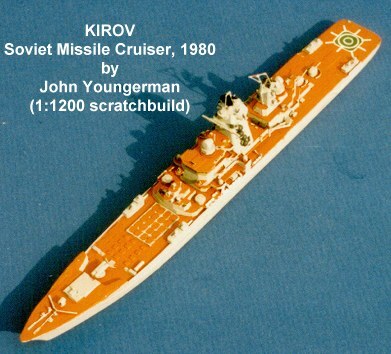 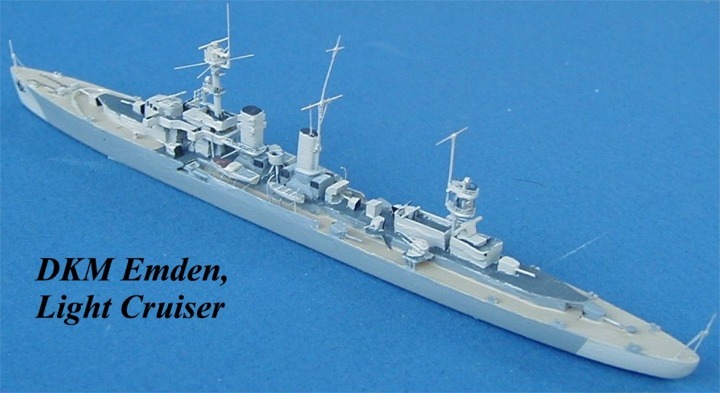 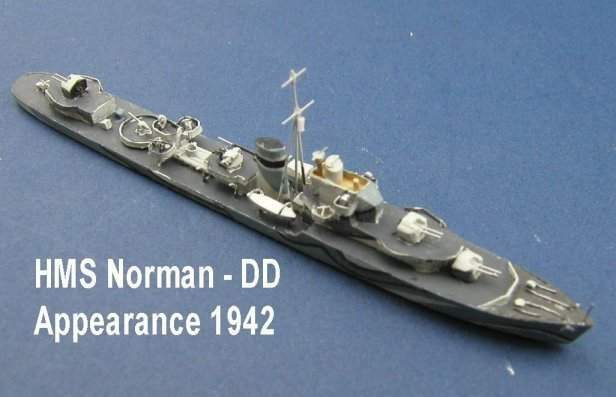 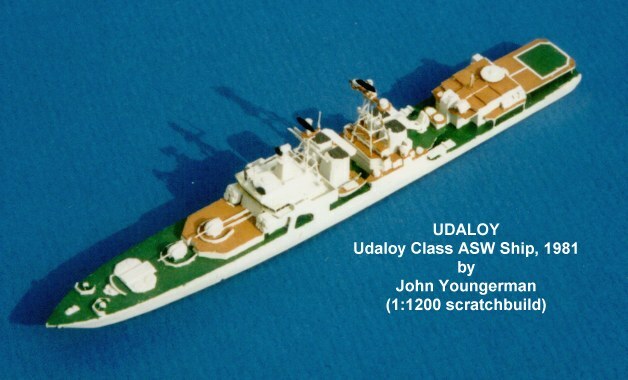 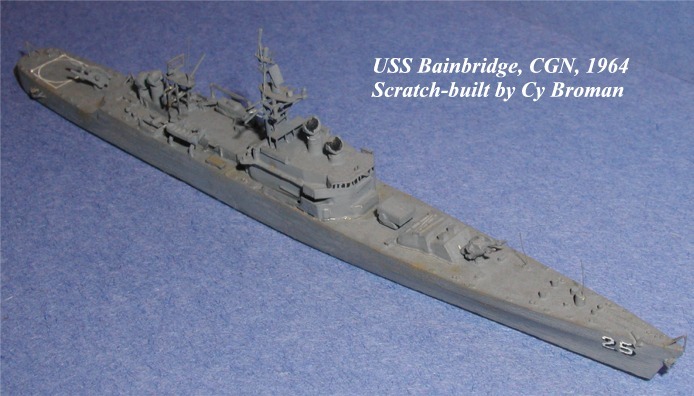 Editor's Note: Many of the scratchbuilt ships on this page are the work of John Youngerman. 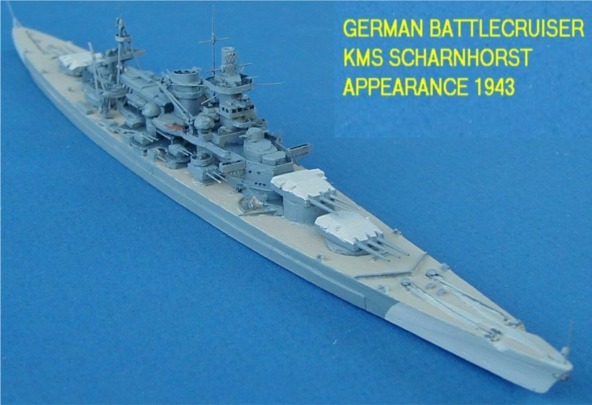 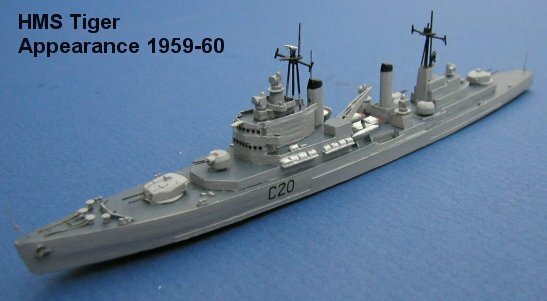 He has written a very informative article on Scratchbuilding 1:1200 scale ships that I highly recommend. 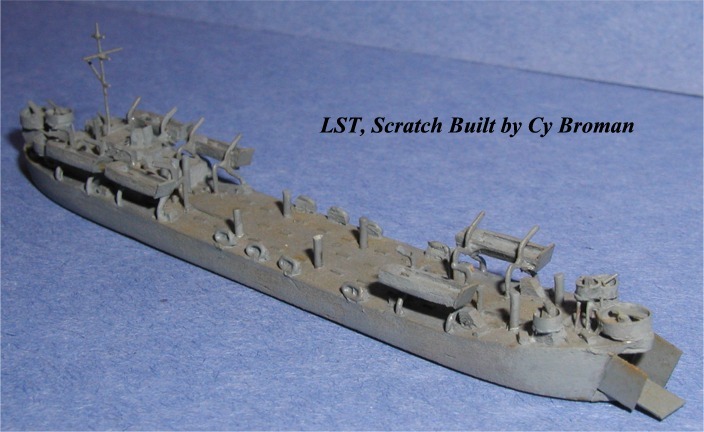 Also check out The building tips page for helpful hints for scratchbuilding small scale ships. 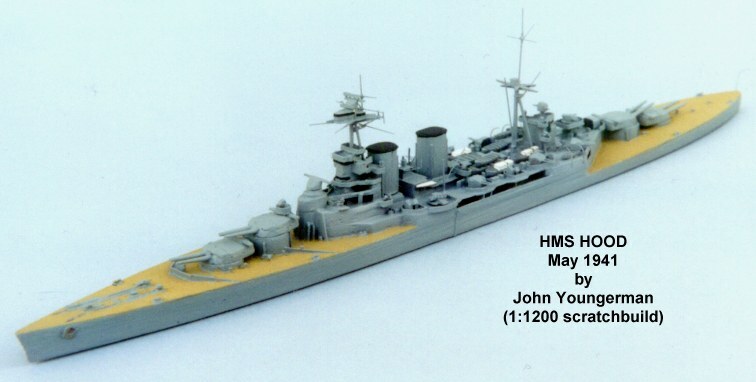 HMS Indomitable, British Battle Cruiser, 1:1000 Scale Here are photographs of the British battle cruiser HMS Indomitable taken by Jim Baumann. 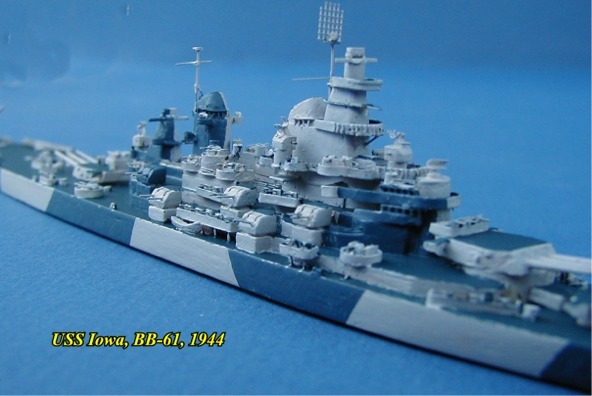 Jim took photos of this 1:1000 scale model made by two Polish modelers Andrzej Brozyna and Grzegorz Terpinsk, whom he met when he went to a competition in Poland. 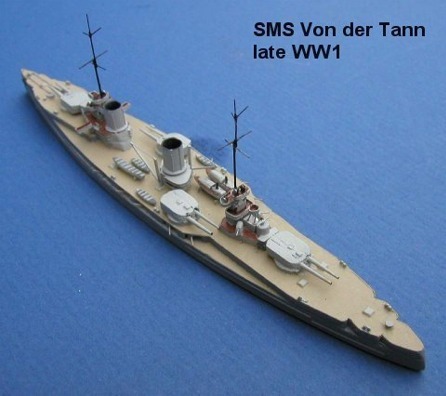 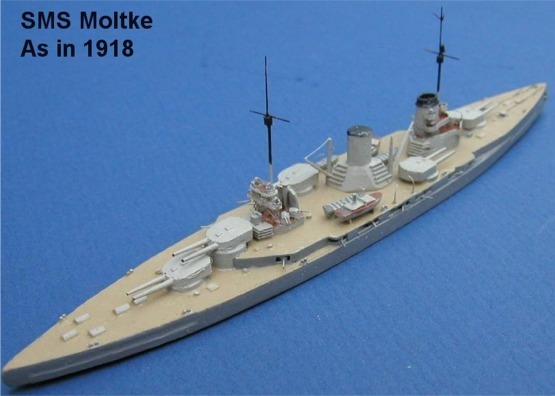 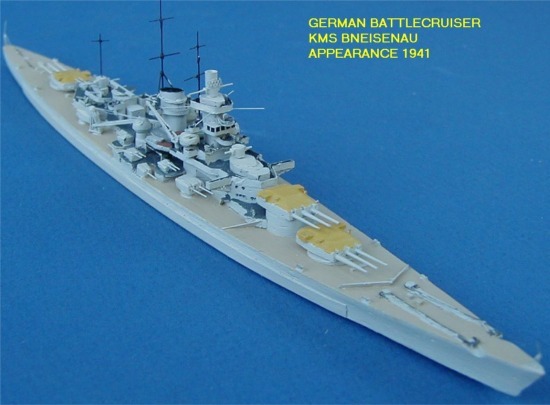 SMS Koenig Albert, 1:1000 Scale Jim Baumann was in Poland for competition and saw some remarkable models scratch-built in 1:1000 scale by Andrzej Brozyna and Grzegorz Terpinsk. 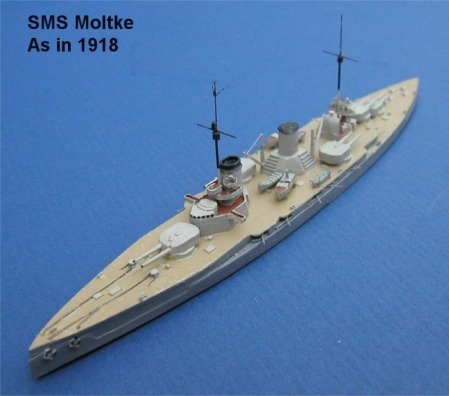 This first series of photographs by Jim shows the SMS Koenig Albert with her port side anti-torpedo net deployed. 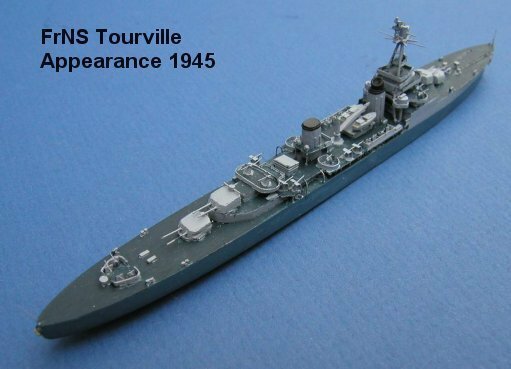 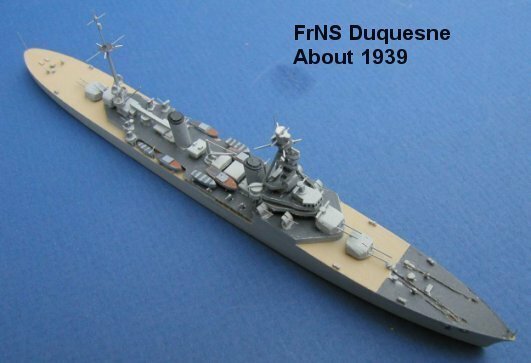 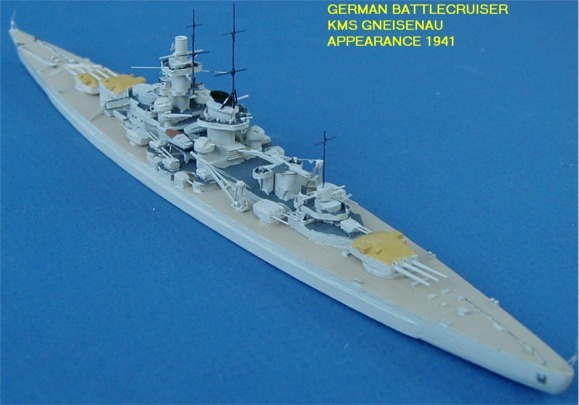 Dunkerque, French Battlecruiser 1940 These are photos of the re-make of the French battlecruiser Dunkerque as she appeared in 1940-41 scratch-built by John Youngerman. 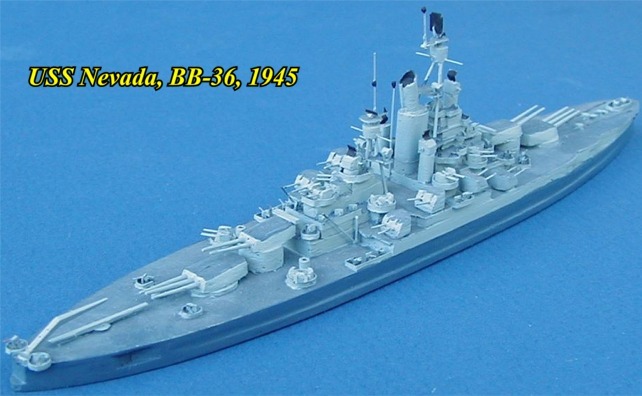 USS Colorado BB-45, 1944 John Youngerman decided to remake USS Colorado using the Morskie plans as a basis, which enabled him to add much more detail and to correct several very minor inaccuracies with the previous Colorado. 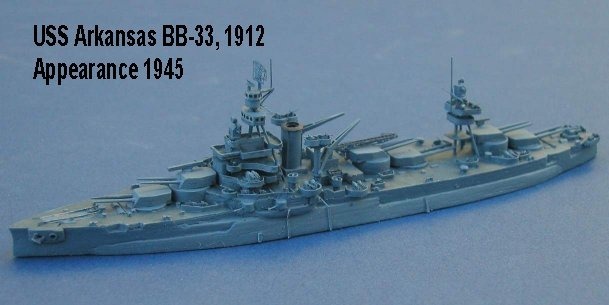 Jean Bart, French Battleship 1949 Here are photos of John Youngerman's new 1/1200 scale model of Jean Bart. 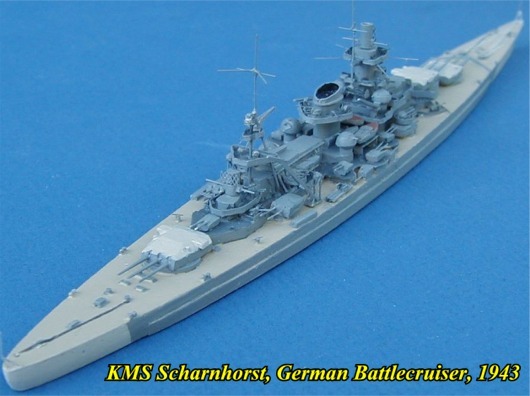 Also included are two photos showing both his 1/1200 scale scratch-built and the 1/700 scale Trumpeter model. 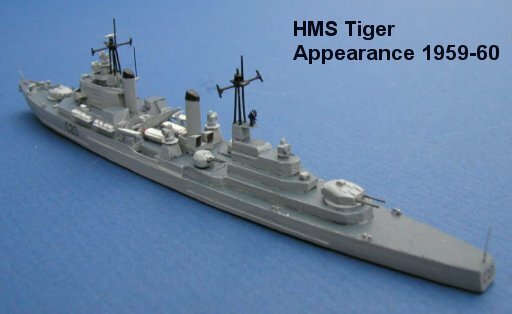 Kongo, Japanese Battle Cruiser, 1914, as built This is the Japanese battle cruiser Kongo, as she was originally built in Great Britain. 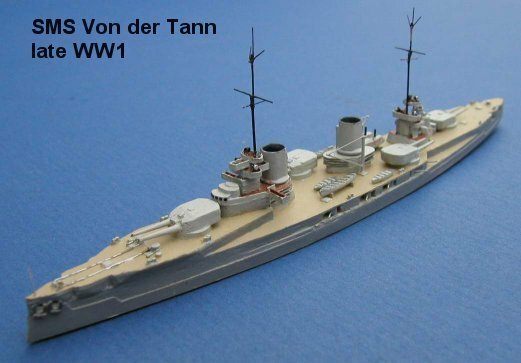 Titan To of Hong Kong scratch-built the model is 1:1200 scale. 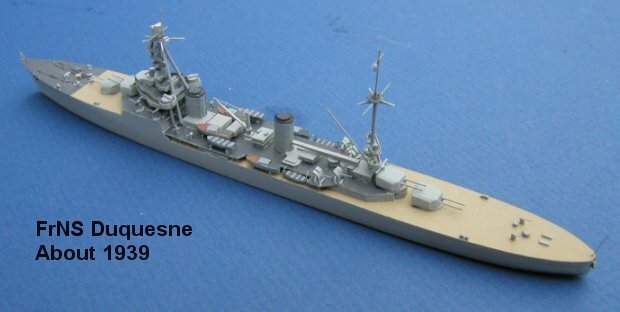 Kniaz Sururov, Russian Battleship, 1905 1:1200 scratch-build from Mike London. 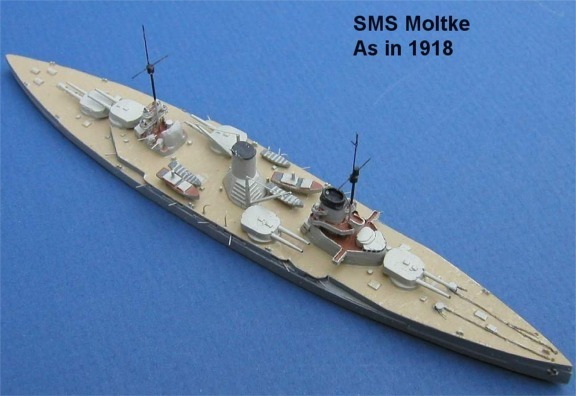 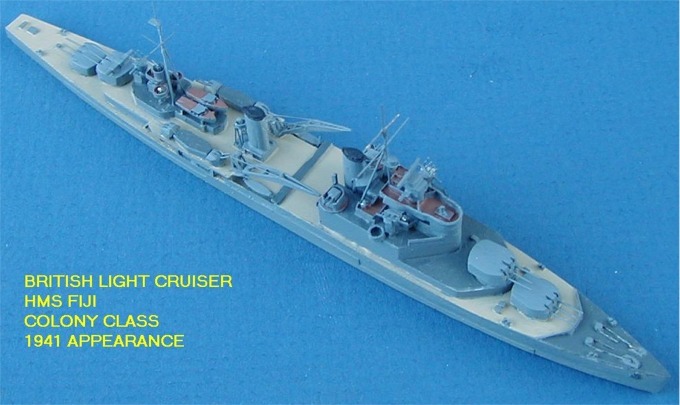 General-Admiral Apraksin, Russian Coast Defense BB, 1905 1:1200 scratch-build from Mike London. 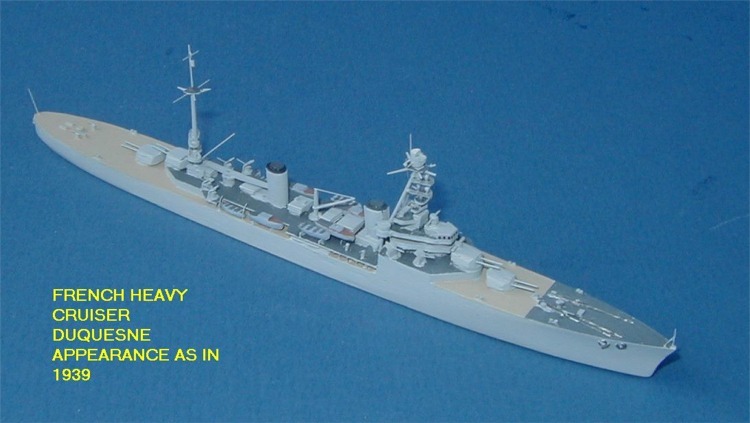 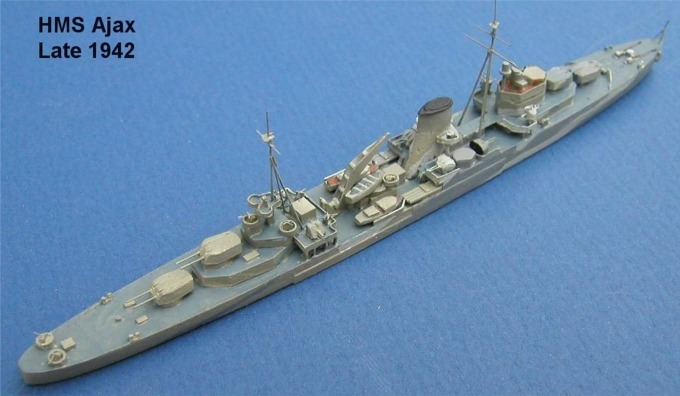 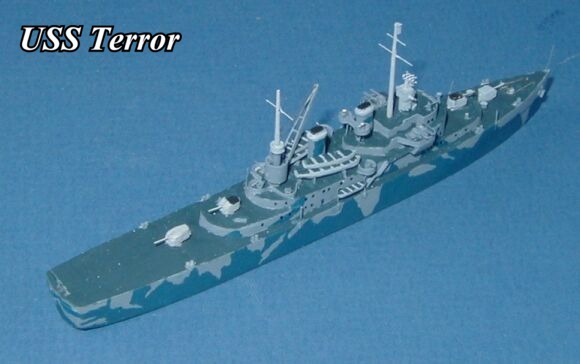 RN Vittorio Veneto, 1942 1:1200 scratch-build from Mike London. 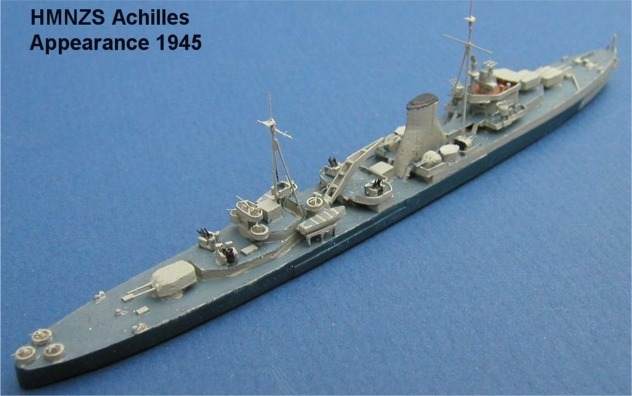 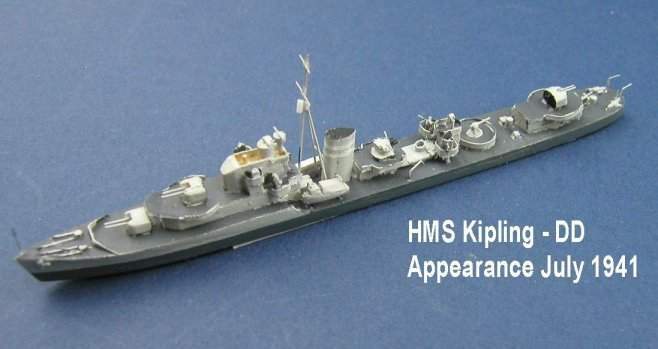 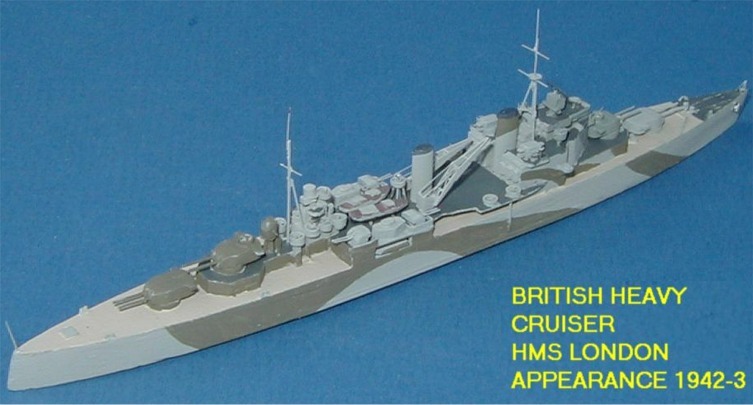 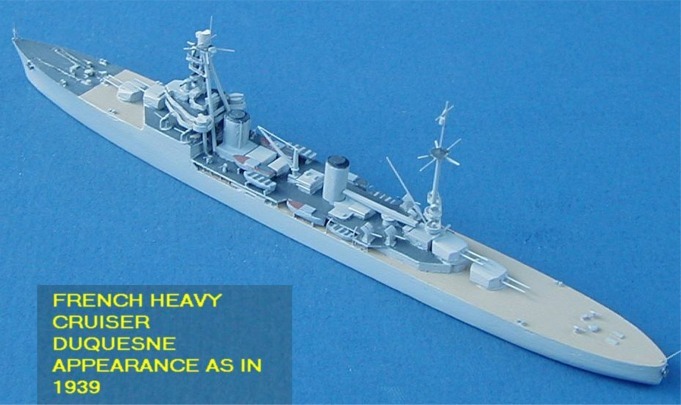 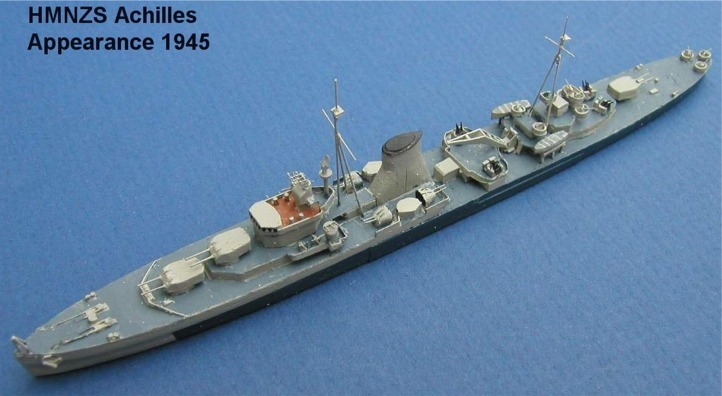 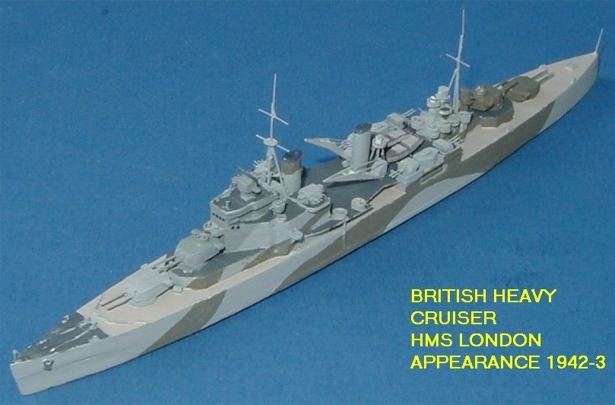 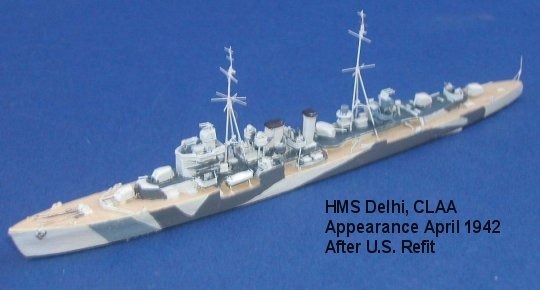 HMS Iron Duke, 1916 1:1200 scratch-build from Mike London. 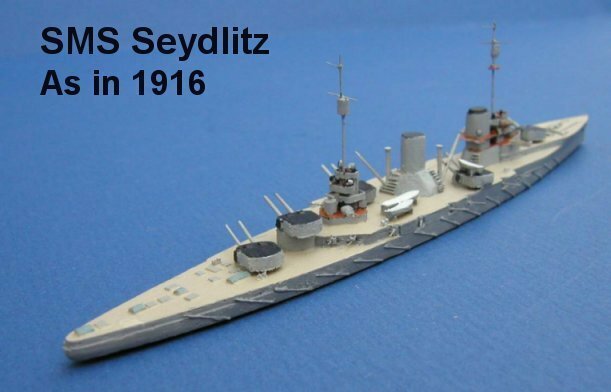 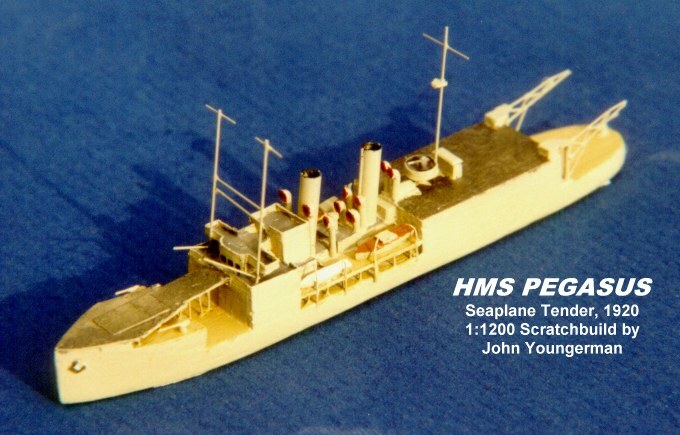 HMS Glatton, 1918, Monitor 1:1200 scratch-build from Mike London. 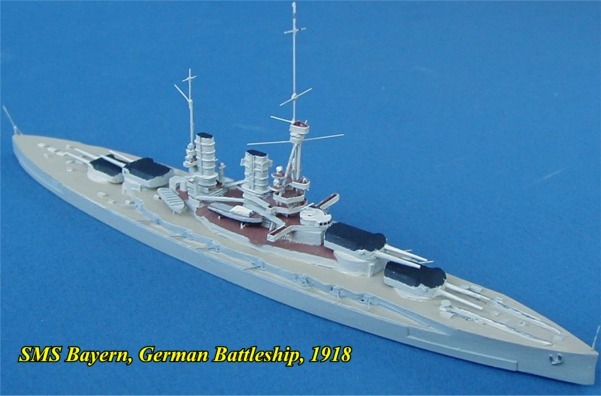 HMS Dreadnought, 1906 1:1200 scratch-build from Mike London. 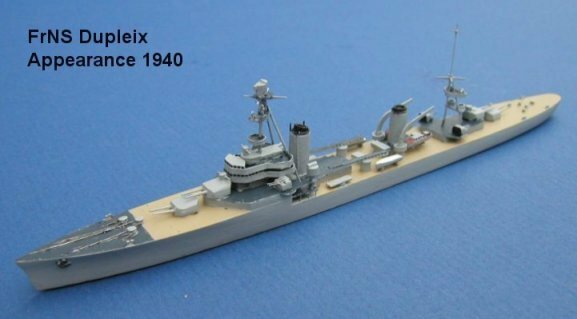 USS New York 1944 By John Youngerman. 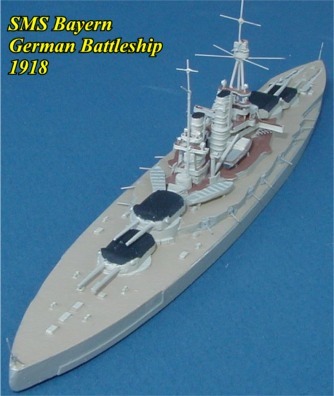 1:1200 model scratchbuilt from balsawood. 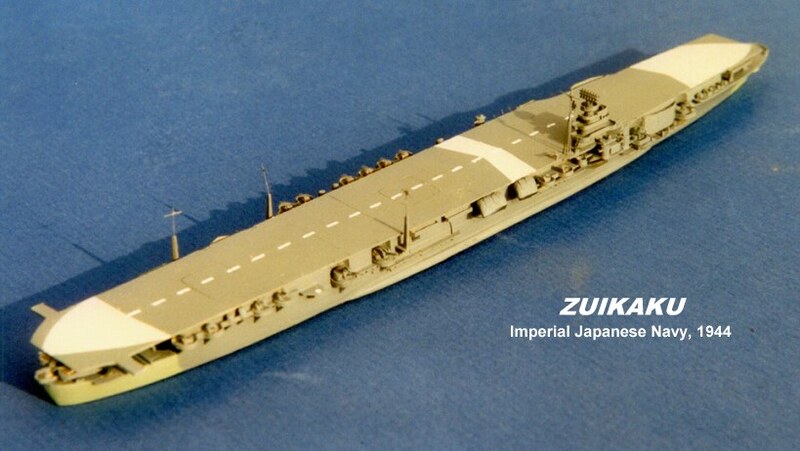 Chuyo, Japanese Aircraft Carrier by Titan To This model of the Japanese carrier Chuyo is scratch-built in 1:1200 scale by Titan To of Hong Kong. 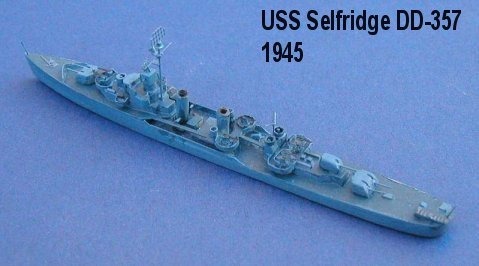 USS Saratoga, Conversion of the Neptun Lexington by Peter Ohm This model of USS Saratoga CV-3 is a conversion of the Neptun Lexington. 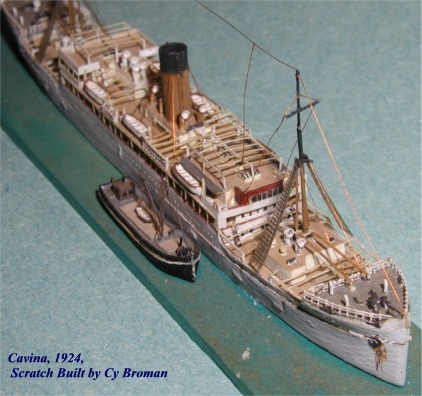 Peter Ohm did a remarkable job with this replica of the prewar Sara. 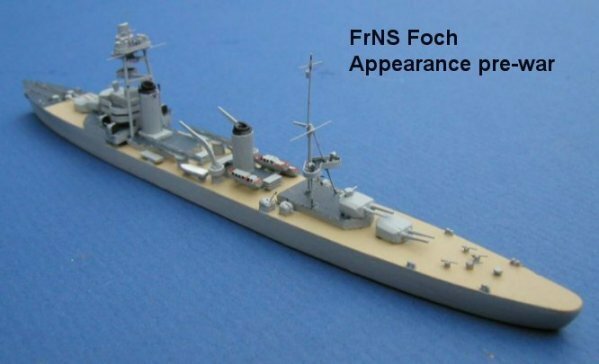 USS Inchon (LPH), #2 Reworked by Sean Pritchard. 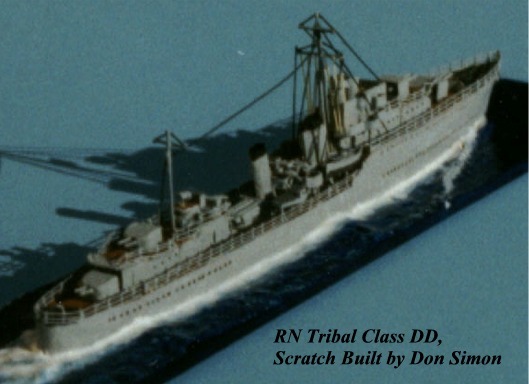 Sean writes: "...it's a CM LPH but built from a casting by Norbert Broecher of Rhenania as a "special",only a few were done.It represents the Inchon,and as usual I've tweaked it a bit and added my own Sea Stallions,Sea Dragons,twin huey's and deck gear-again there are about a dozen crew on deck." 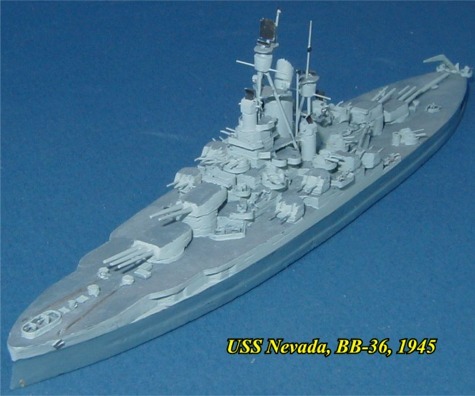 USS Franklin D. Roosevelt,#2 Quadrant limited edition resin model. 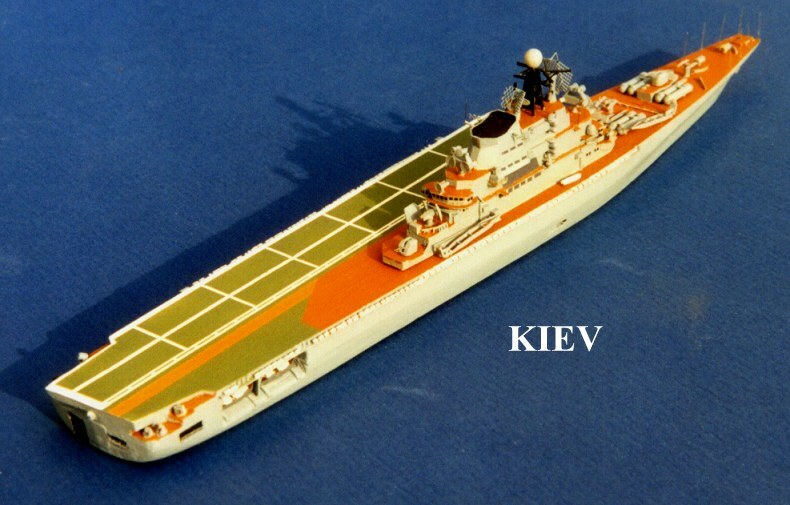 Most of the aircraft shown came with model. 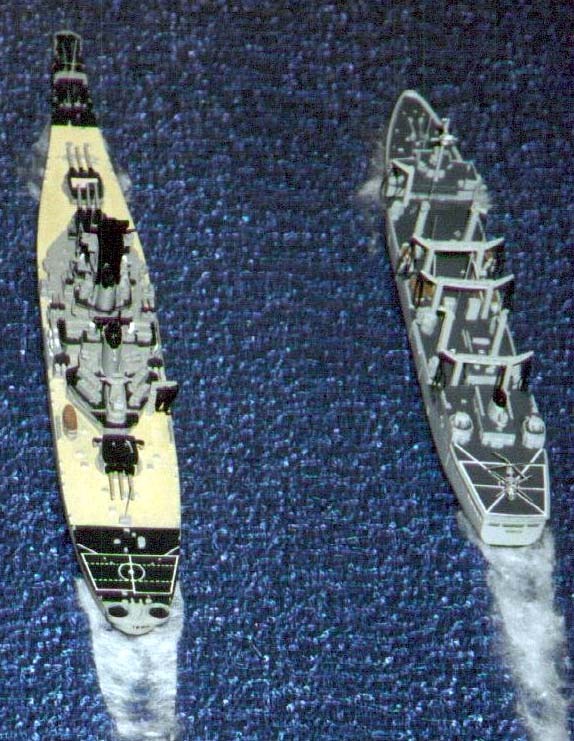 All planes hand-painted by Paul Jacobs. 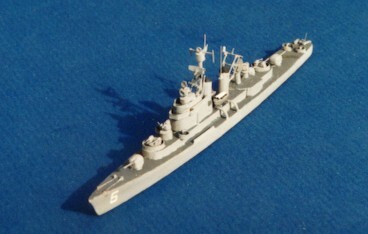 USS Forrestall (1957) This wood model by the late Cy Broman was acquired in poor condition and is shown after repairs, detail enhancements and repainting by Paul Jacobs. 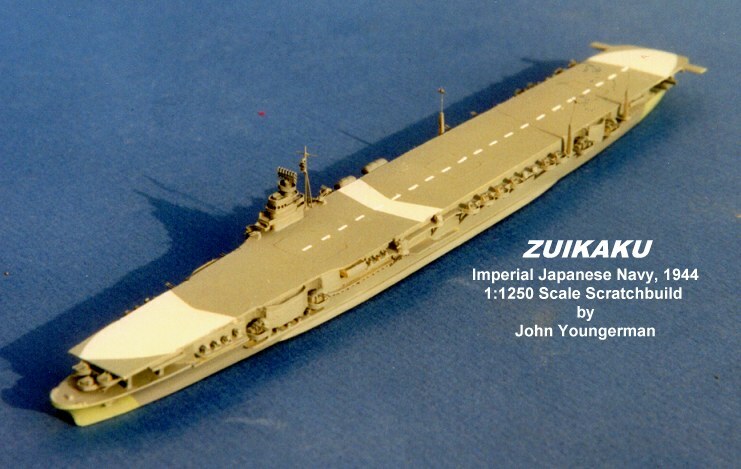 Aircraft are various commercially made models enhanced and hand painted. 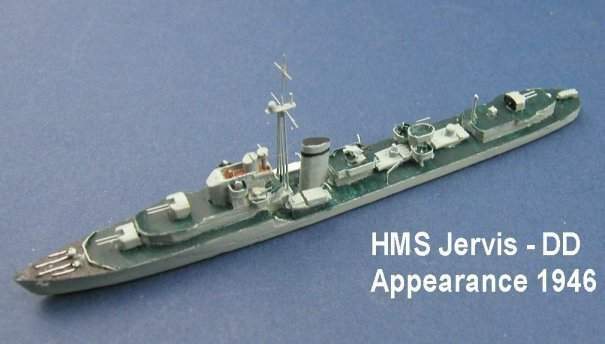 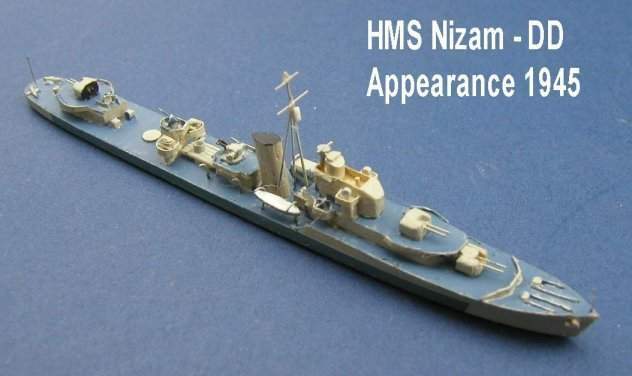 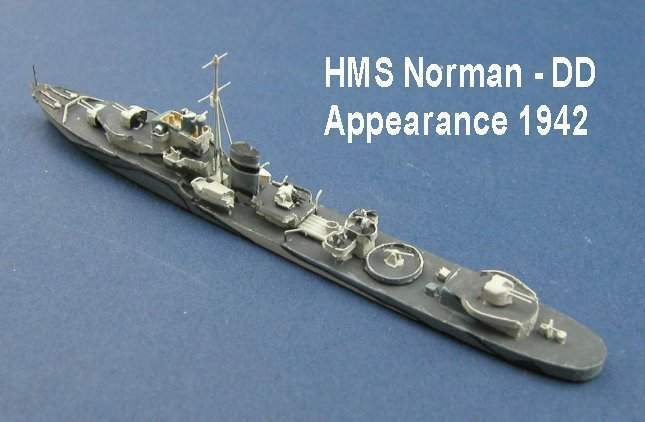 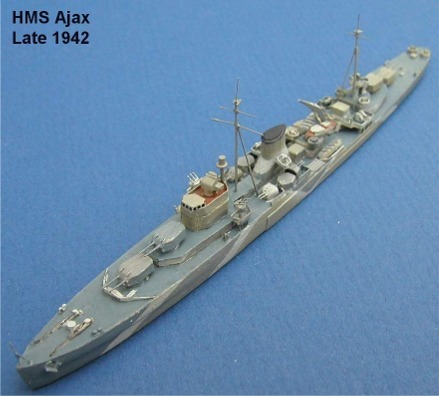 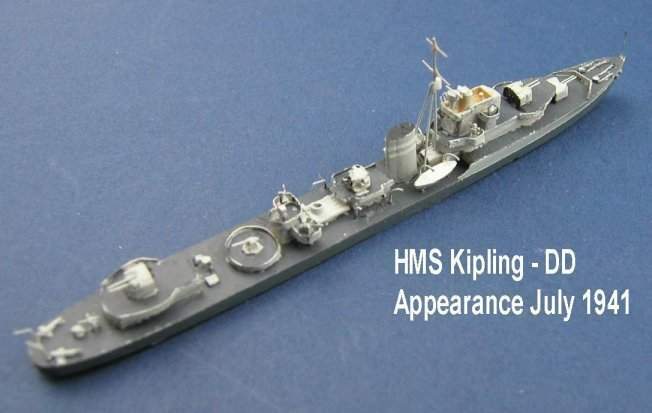 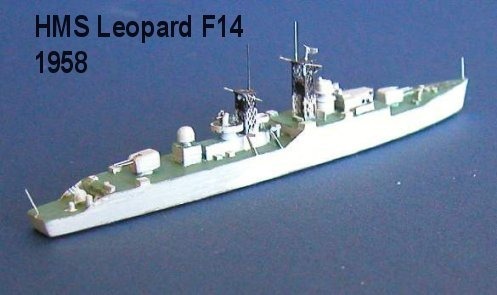 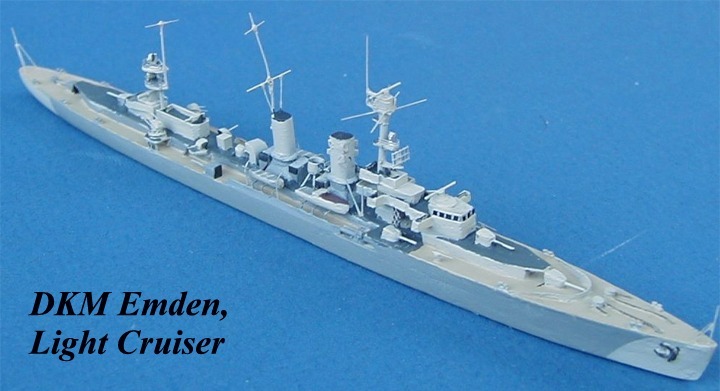 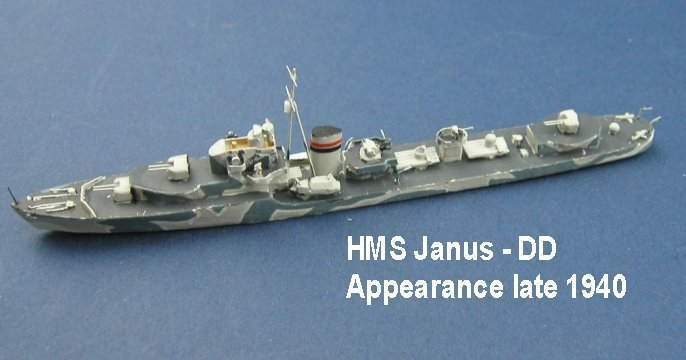 HMS Sussex, County Class Jim Baumann was in Poland for competition and saw some remarkable models scratch-built in 1:1000 scale by Andrzej Brozyna and Grzegorz Terpinsk. 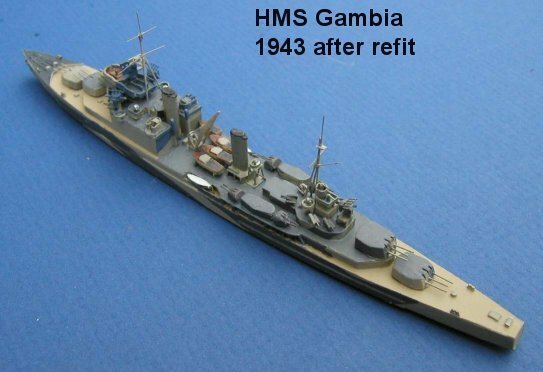 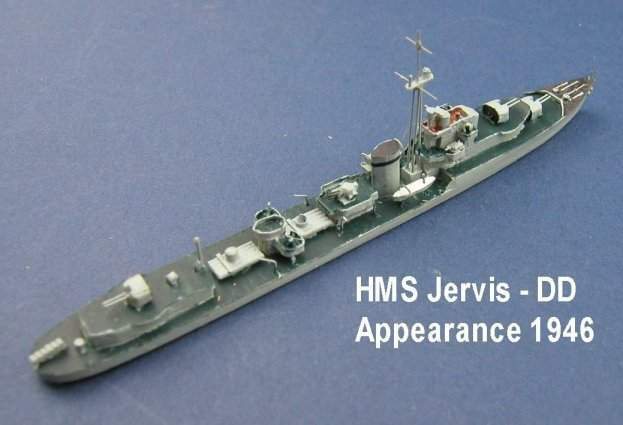 This second series of photographs by Jim shows the HMS Sussex with camouflage scheme, heavily weathered by service. 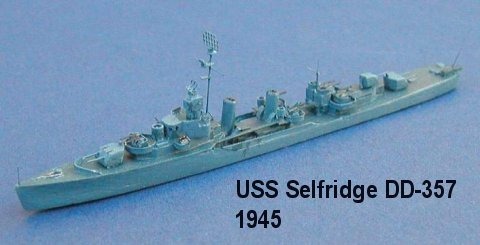 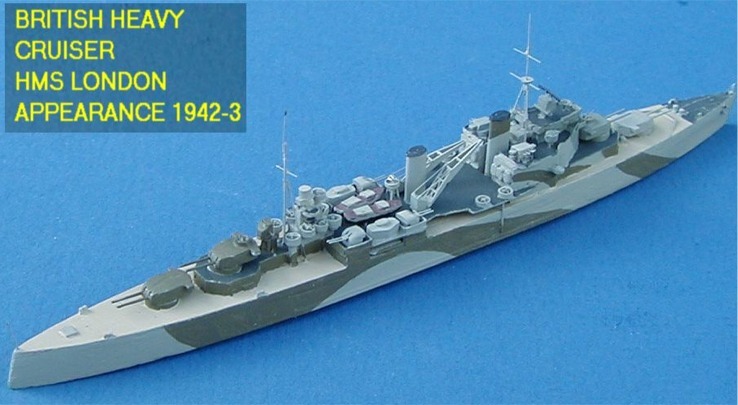 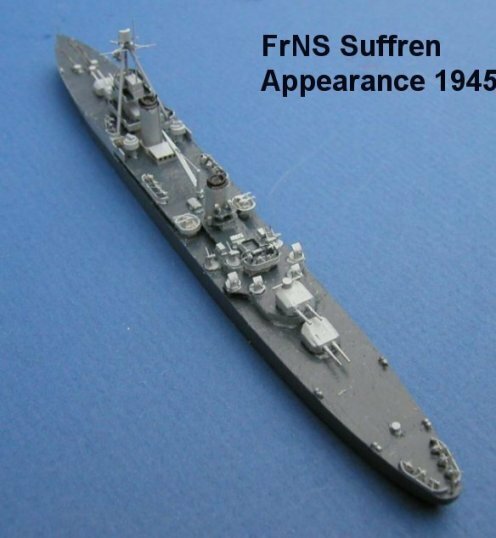 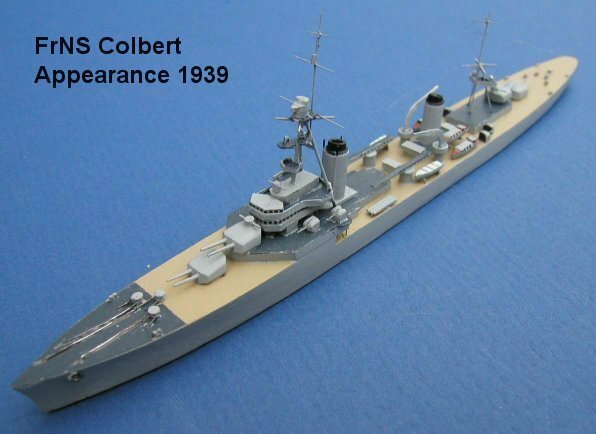 USS Salt Lake City CA-25 1944 Here is one of the new 1:1250 scale scratch-built models from John Youngerman. 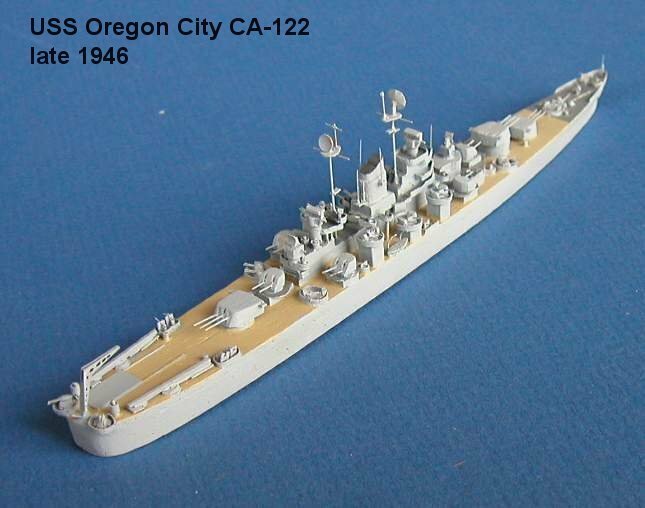 This time it is the USS Salt Lake City CA-25, as she appeared in 1944. 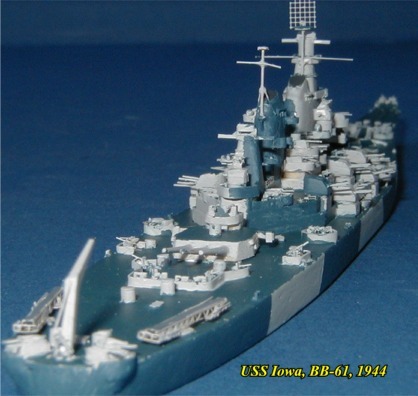 USS Roanoke CL-145 Here is one of the new 1:1250 scale scratch-built models from John Youngerman. 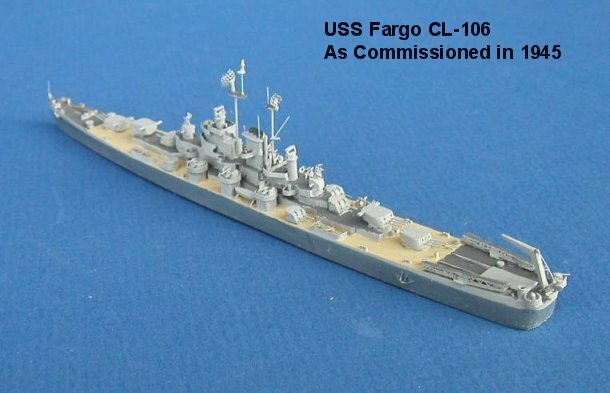 This time it is the USS Roanoke CL-145, as she appeared in 1949. 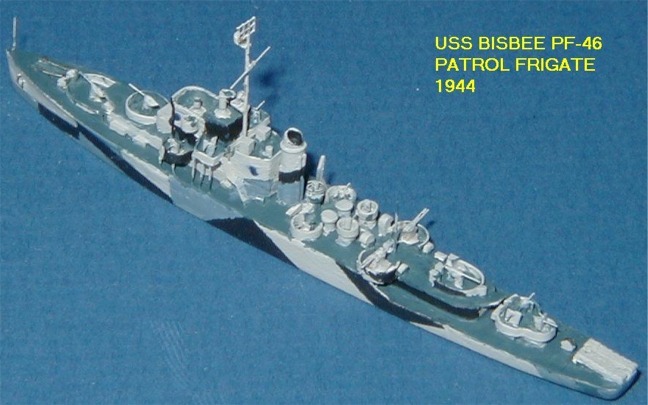 USS Pensacola CA-24 1944 Here is one of the new 1:1250 scale scratch-built models from John Youngerman. 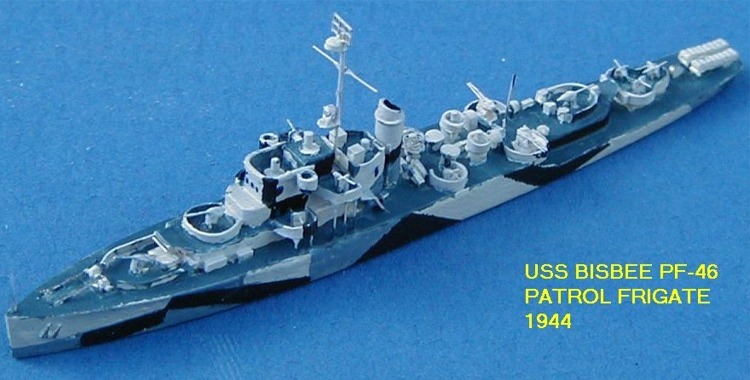 This time it is the USS Pensacola CA-24, as she appeared in dazzle camouflage in 1944. 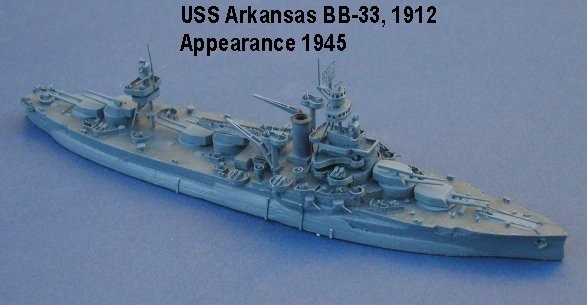 USS Arkansas CGN, #2 This is Sean Pritchard's rework of the Argos USS Arkansas. 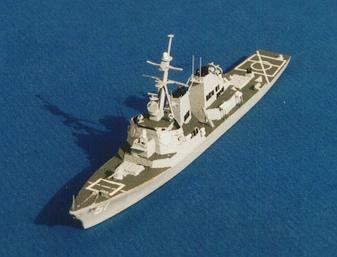 Changes include new Phalanx and 5" guns (both scratchbuilt by Sean) a repaint and new aerials. 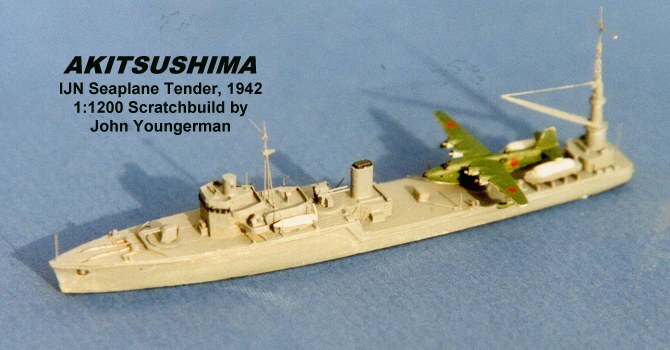 He also scratchbuilt both the figures and the Ch-46 doing the vertrep. 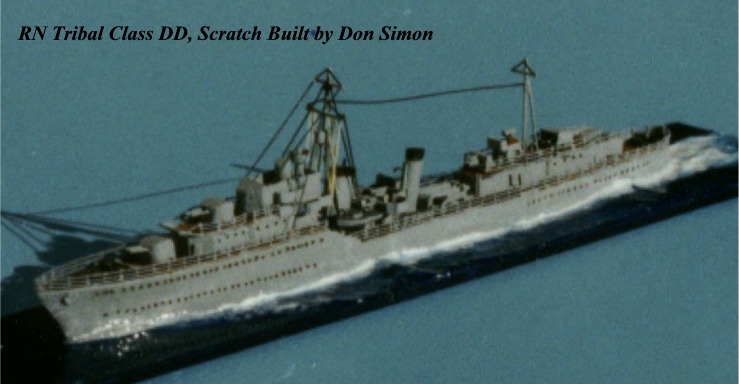 USS Pensacola CA-24, #2 1:1200 scratchbuild by Don Simon showing Pensacola circa 1939. 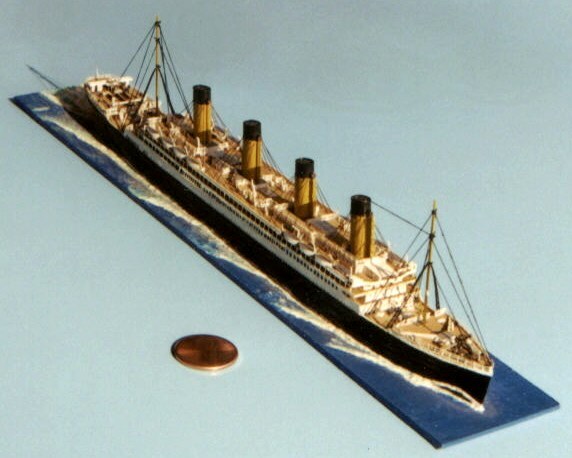 The model is constructed of bass wood, card stock, paper, thread, fly tying silk and various sizes of brass/copper tube and wire. 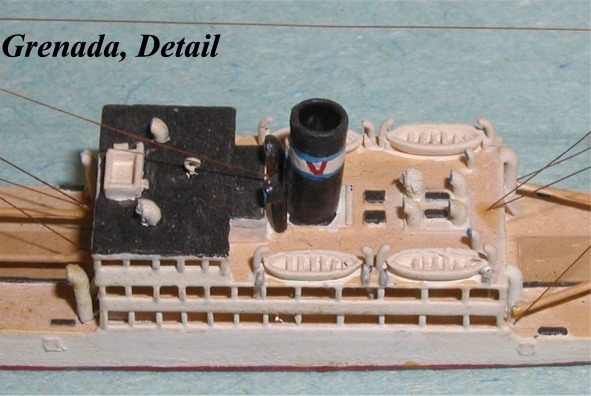 The rigging (hard to see against the dark blue background) is 36 gauge copper wire removed from a lamp cord. 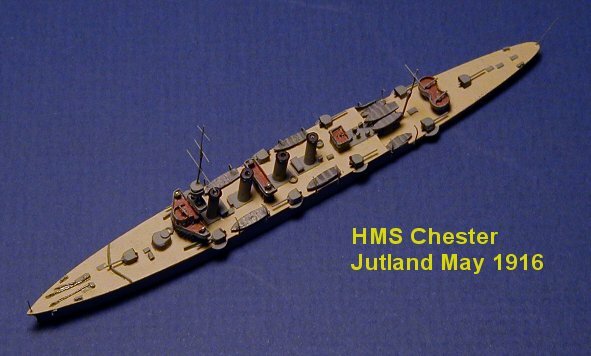 For the wood decks I used bass wood plane shavings cut to the appropriate shapes. 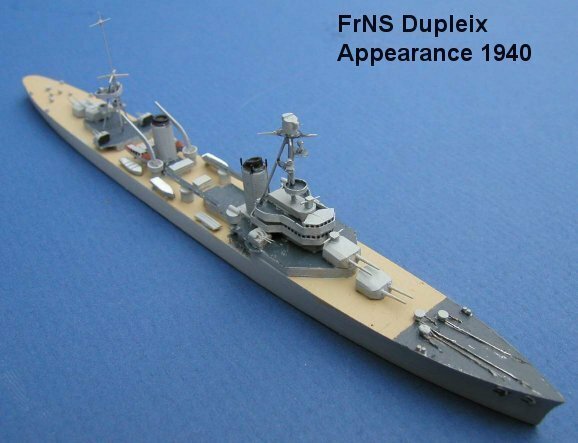 It doesn't show too well in the photographs, but up close it is a fabulous effect as the wood planking sits above the "steel" deck, and of course it truly is natural wood. 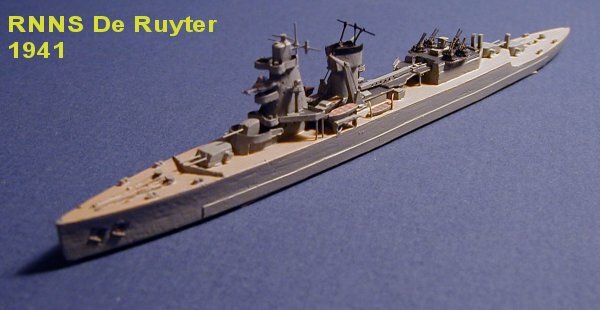 Four Curtiss SOC's sit on the catapults and 9 (!) 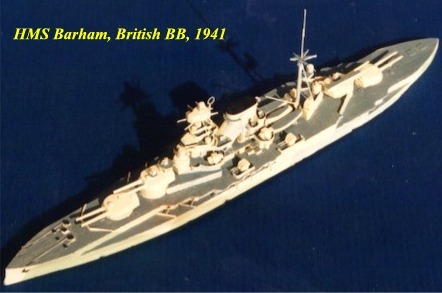 boats are nested forward of the mainmast. 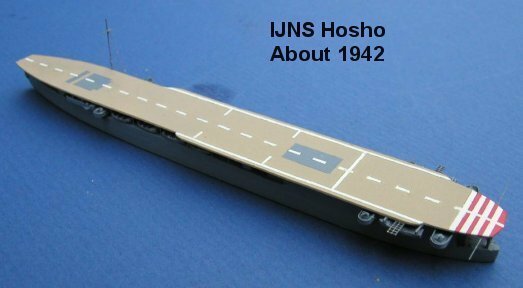 IJN Cruiser Tone, #2 A Cy Broman model, probably made in late 50s as it shows errors common from that era such as the overly wide seaplane ramp. 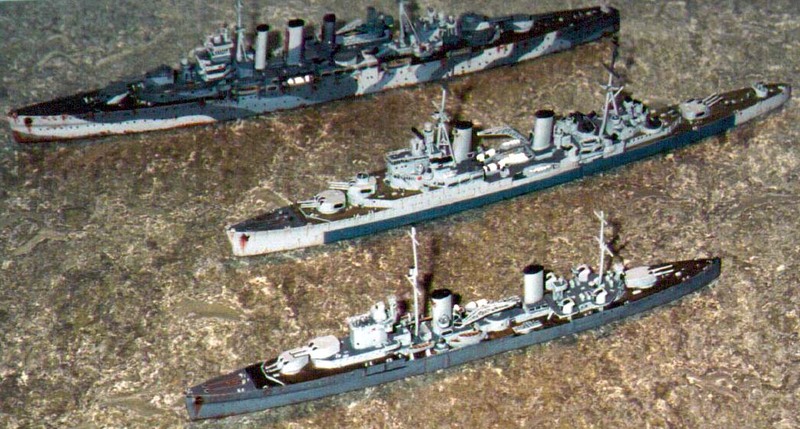 Paul Jacobs re-painted and added planes. 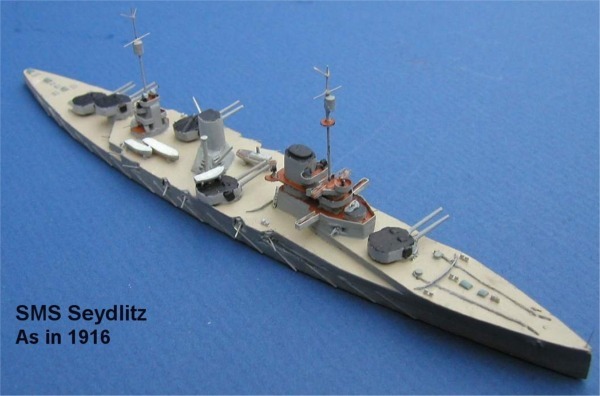 USS New York CA-2 Armoured cruiser by Ed Antin, from David Orzel's collection. 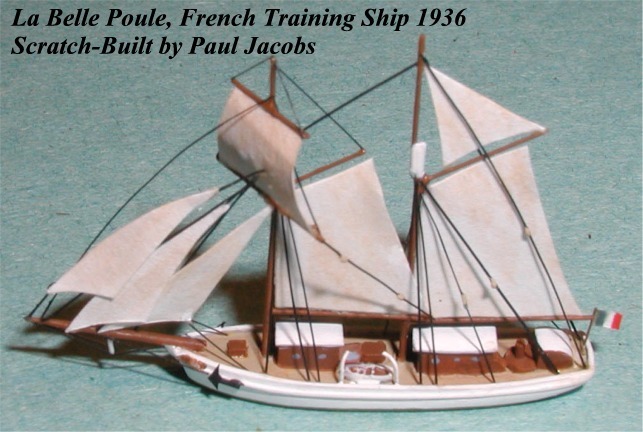 Provence circa 1925 This is Paul Jacobs's conversion of Navis 401 Lorraine. 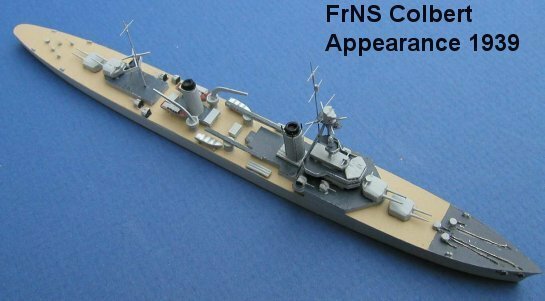 Primary changes are enlarged bridge, heightened forefunnel, and tripod foremast. 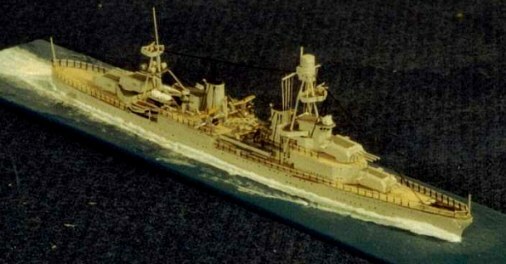 USS Mississippi (1843) Scratch built by Paul Jacobs. 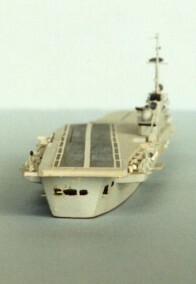 Part of the hull from a Triton kit. 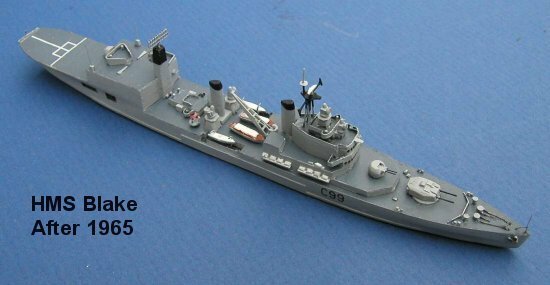 Sovremenny class DDG, #2 Sean Pritchard writes: "It's a Trident Sovremenny class DDG,repainted of course and with a few 'tweaks'. 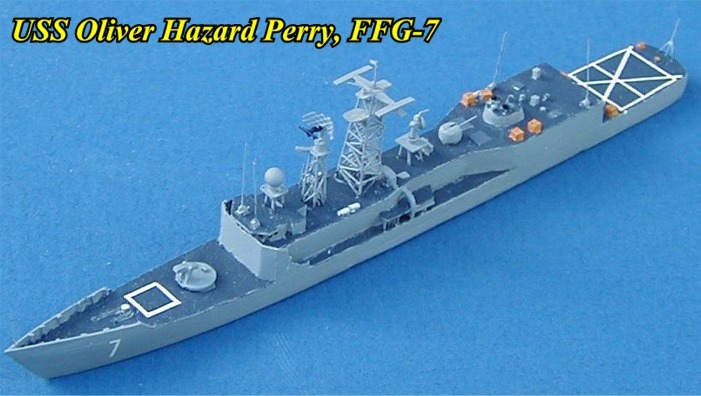 Decals for the flight deck and hull are my own,as is the Helix helicopter. 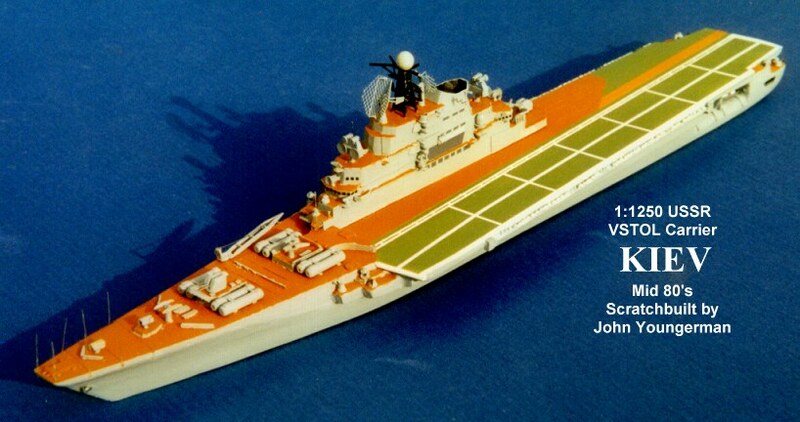 By the way,I keep saying "my own" to indicate these are items I actually produce.At the last count I had about 35 different helicopters and fixed wing aircraft in production, each with their own specific photo etch rotors/props." 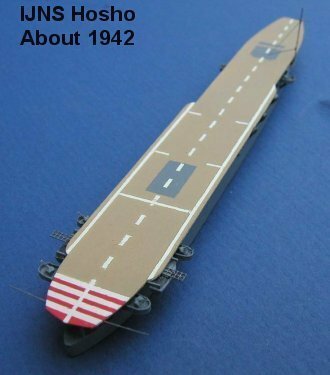 T2 Tanker While larger than 1:1250 scale this model of a T2 tanker shows the detail that can be worked into scratch-built models. 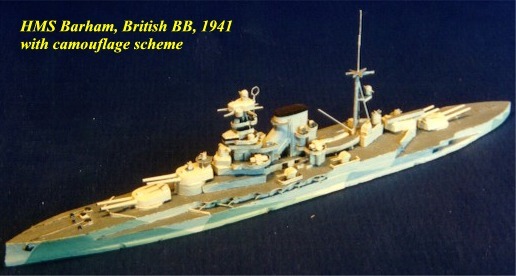 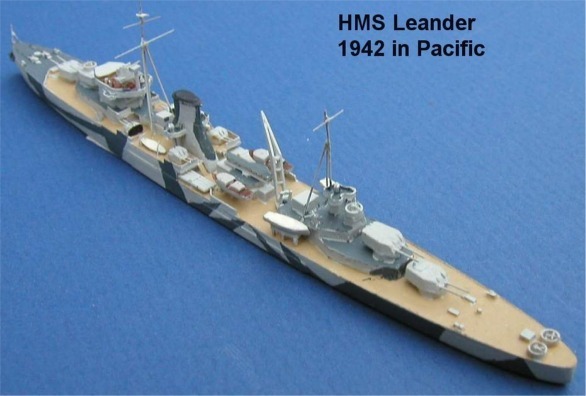 This model in 1:1000 scale was built by L.B. 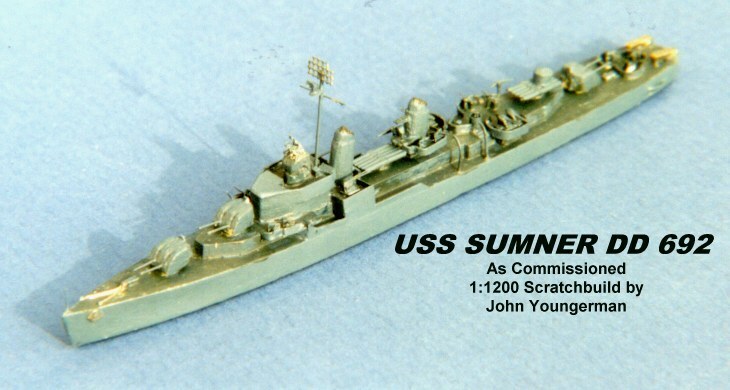 Scaecken entirely of brass and copper. 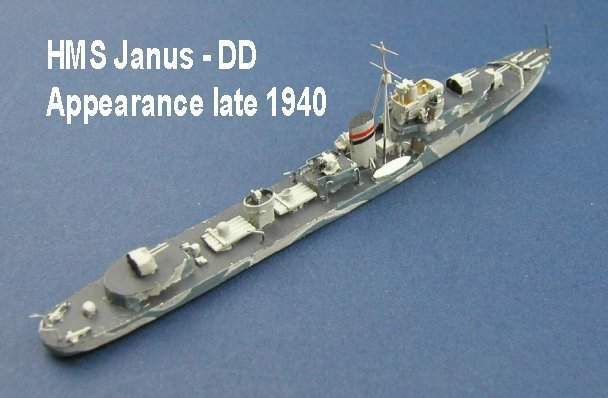 Photographs by Hans Dorlas. 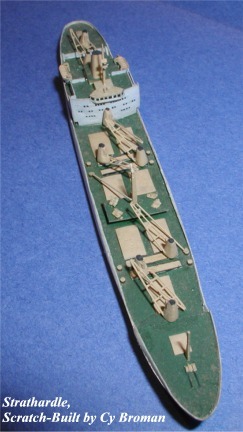 C-3 Freighter This is a model of a C-3 freighter built by Bert Schaecken. 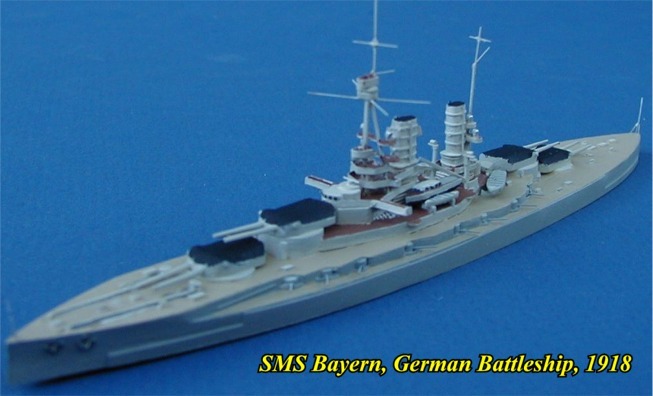 He builds his models in limited quantities. 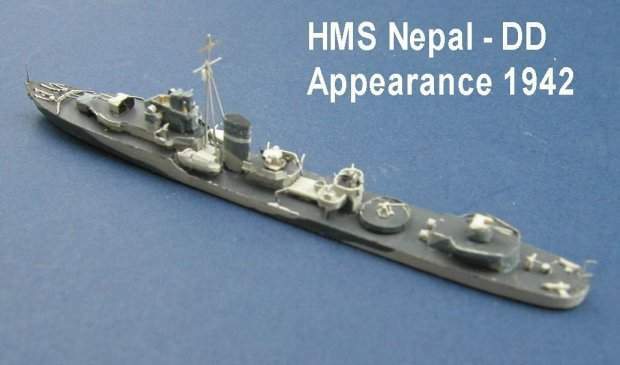 They are made in copper and brass in 1:1250 scale. 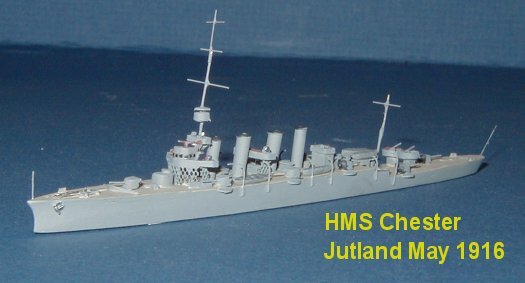 All models are made one by one, handmade in a small series. 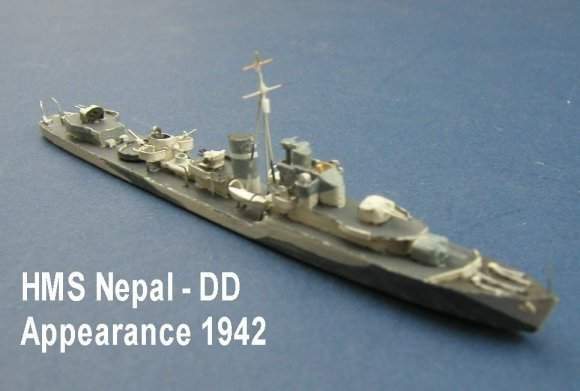 All photographs by Hans Dorlas. 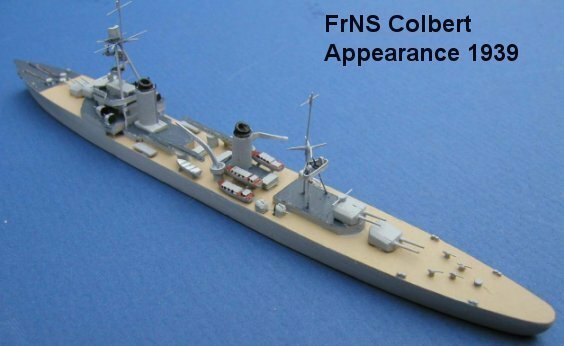 Colonel Lamb, Confederate Blockade Runner Named after Colonel William Lamb, Commander of Fort Fisher guarding Wilmington, NC, the Colonel Lamb was extraordinarily fast and large. 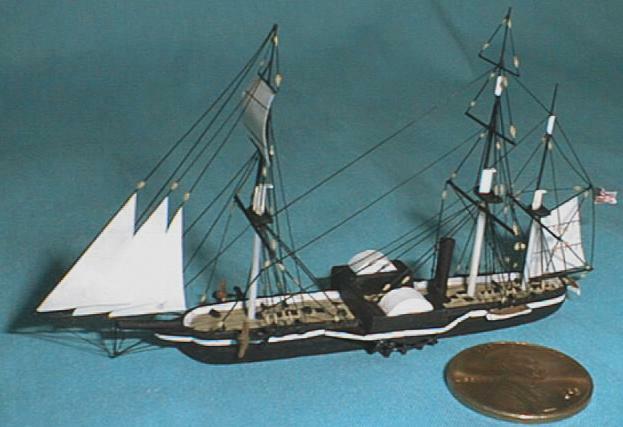 John Eagan has scratch-built this Confederate blockade runner. 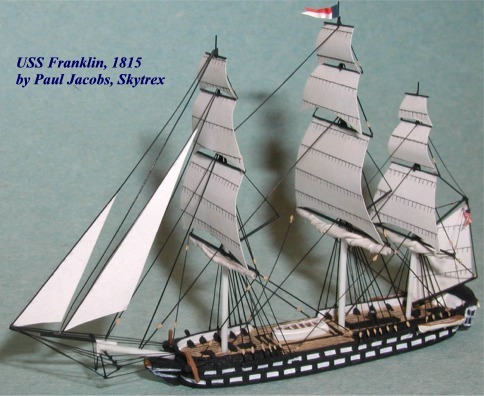 Sultana, Mississippi Riverboat On April 27, 1865 the boiler of the Mississippi Riverboat Sultana blew. 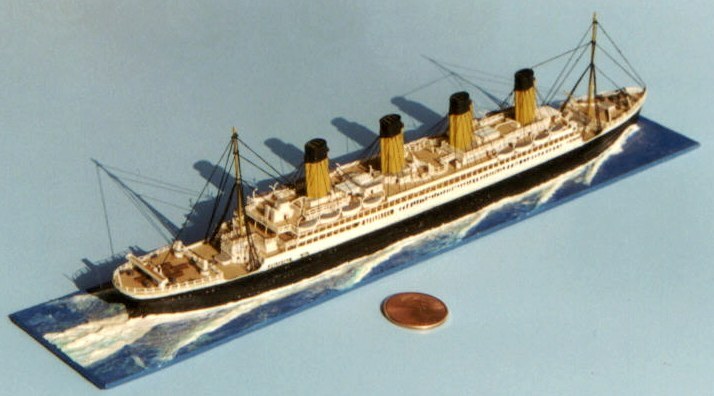 The boat was packed with Union soldiers returning home from the Civil War. 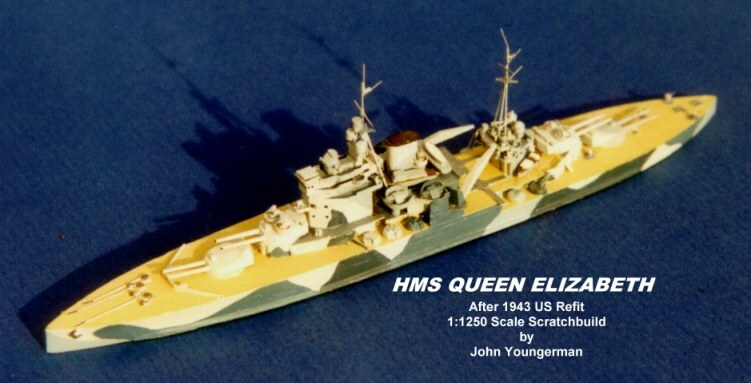 The Sultana has been scratch-built by John Eagan. 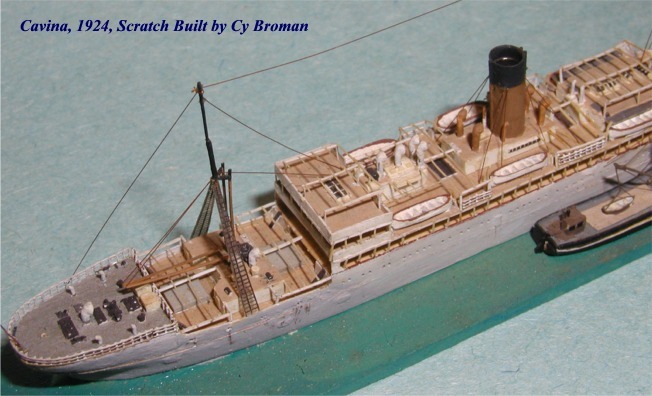 RMS Olympic (1911), #2, #3 1:1200 scratchbuild by Don Simon, who writes,. 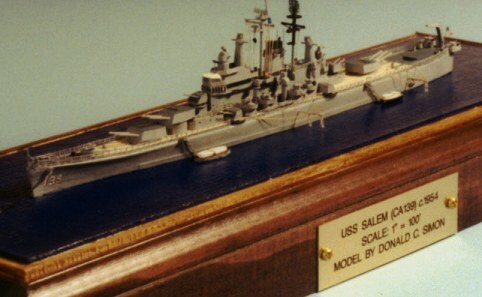 "I built this model in 1993, shortly after I had left the US Navy and had gotten back into my model building hobby. 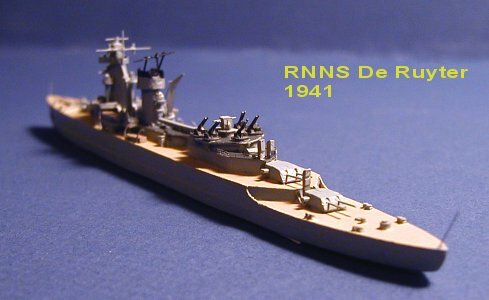 At that point I had not learned of the technique of using wood plane shavings, hence the decks on this model are painted in Testors Wood color. 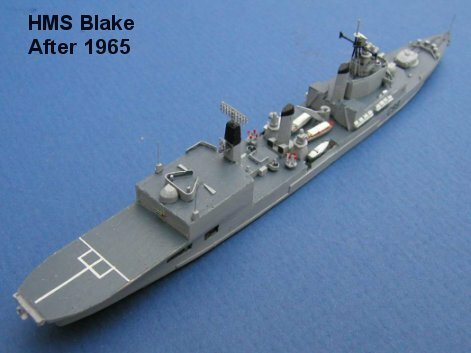 I also had a lot to learn about wake patterns as well. 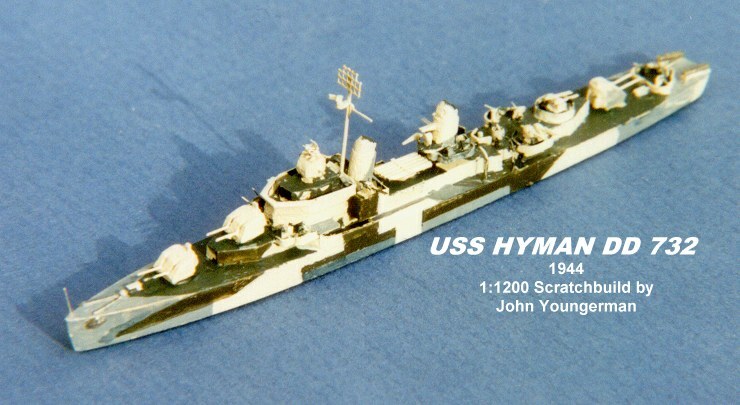 Faults notwithstanding, it occupies a place of honor in my china cabinet (where it's safe from the cats) and I am proud to share it with fellow ship model builders. 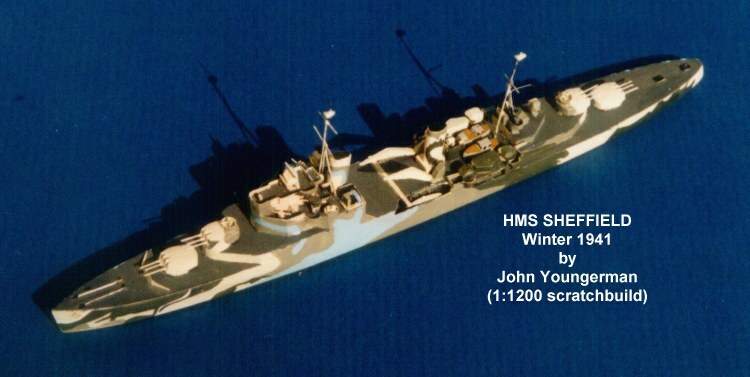 The model was photographed in direct sunlight using a 35 mm SLR camera with Kodak ASA 100 speed film." 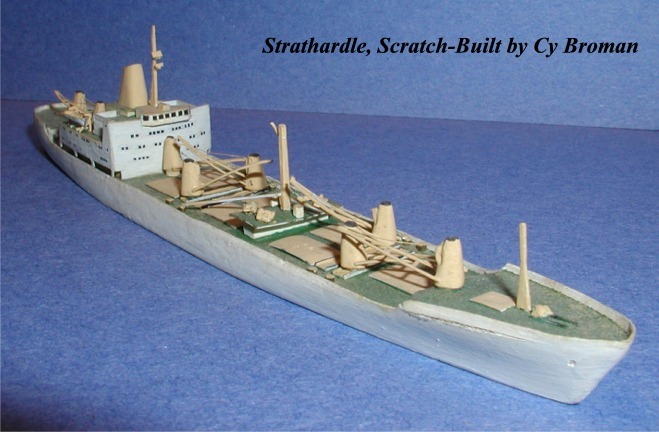 Author, #2 Sean Pritchard writes..." based on a near sister produced by CM.I got Carlo's permission to modify the model-new bridge block and a lot of work to hull,fixtures and fittings-certainly not a copy by the time I'd finished it.Made about 20 or so for the Kassel meeting about 8-9 years ago. 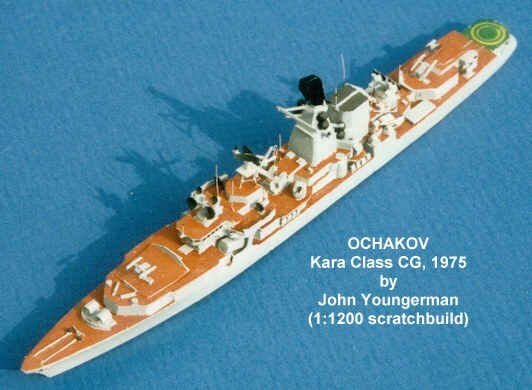 It is the Harrison ship "Author",Polish built,and with the container support racks on the side of the hull these ships had very distinctive and prominent weathering-in fact the rust is understated!" 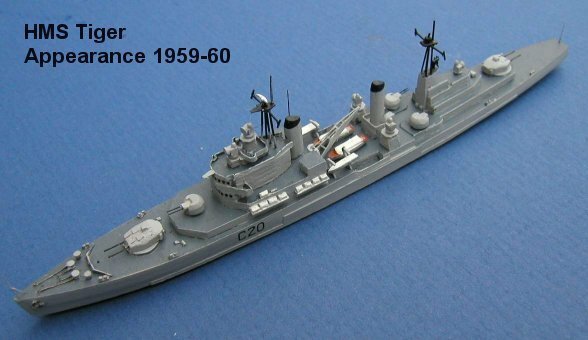 Zuiderkruis, #2 A Sean Pritchard conversion..."It is the dutch replenishment ship Zuiderkruis. 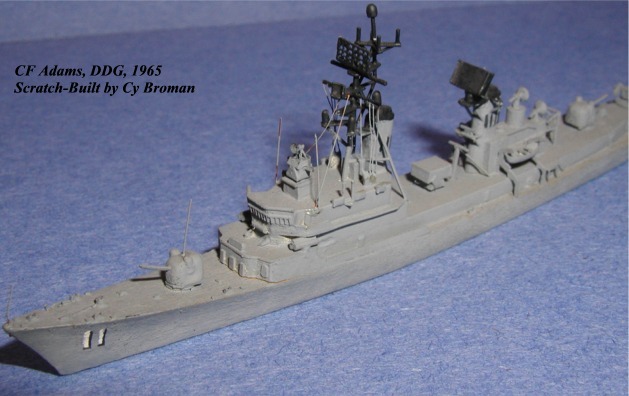 The model is from a bare metal casting made by the now defunct ATS (ATS 11 in fact) which I think were produced by Sextant.It has had quite a lot of work done to it-new masts, RAS gear and hoses from copper wire from household flex) new boats,scratchbuilt "goalkeeper"CIWS, and in addition has had a whole new section of hull added to the bottom of it, to give the "light" appearance. 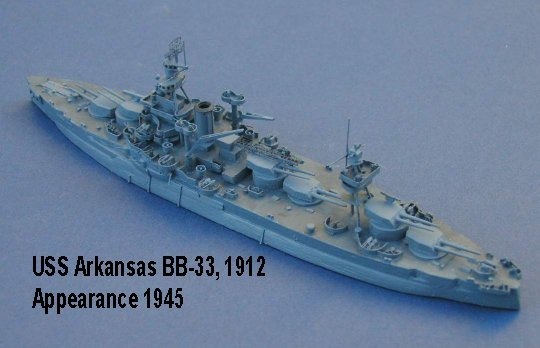 Decals came from my own stocks, ut cut about to make the correct pattern and codes. 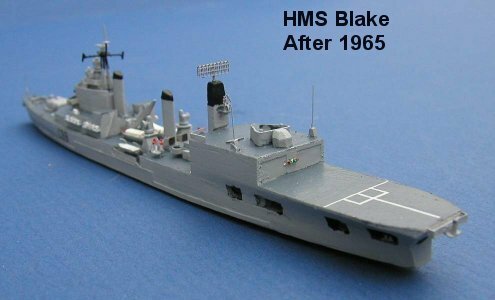 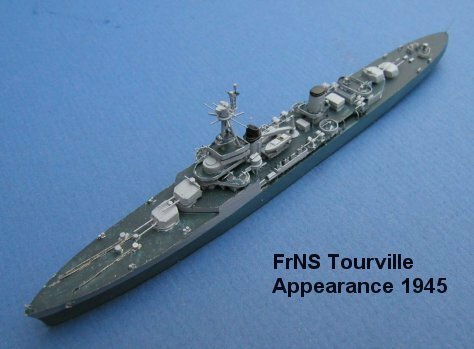 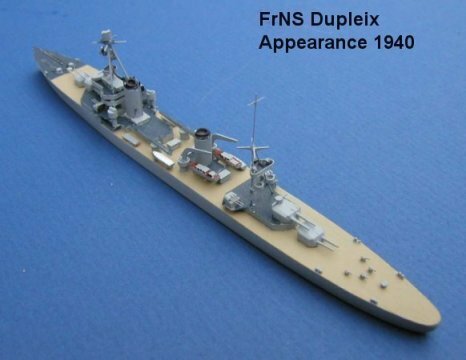 Quite a nice model,and a change from USN or RN." 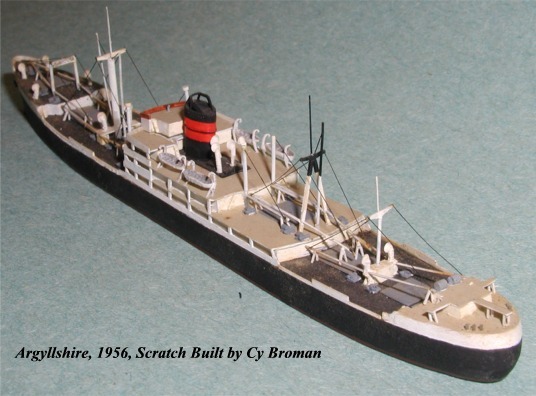 Freighter Romanby Wood model from collection of the late Cy Broman. 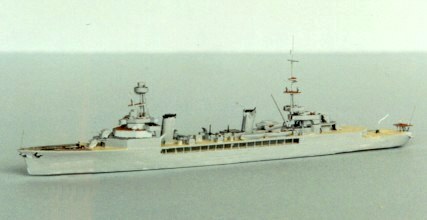 USN AV Tangier Built by Paul Jacobs from a Len Jordan C-3 hull. 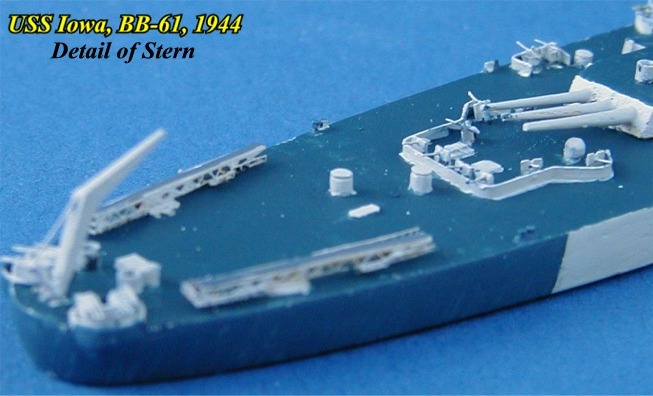 Hull and superstructure are resin. 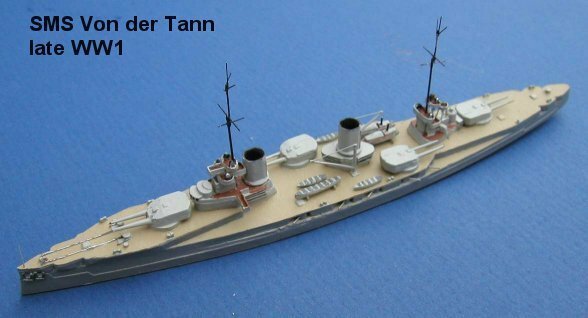 Paul added metal and plastic parts to make after raised deck, booms, masts, boats, large crane aft etc. 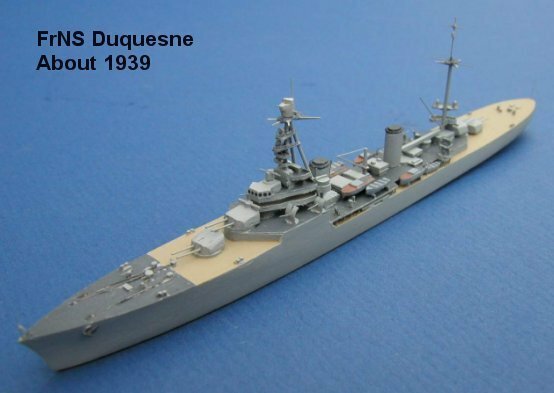 Paul completely scratch built the large crane. 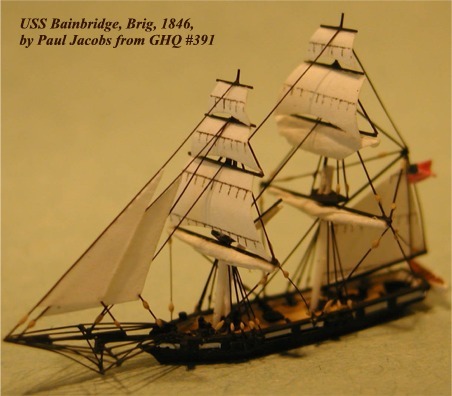 USS Bainbridge, Brig, 1846, #2, from GHQ #391 Rigging, new sails, and other modifications were made to the stock model. 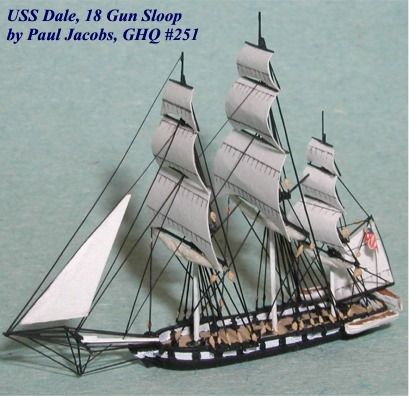 By Paul Jacobs. 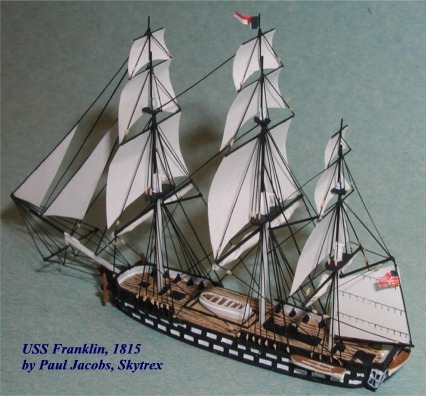 USS Franklin, 1815, 74 Gun Ship of the Line, Skytrex, #2 Rigging, new sails, and other modifications were made to the stock model. 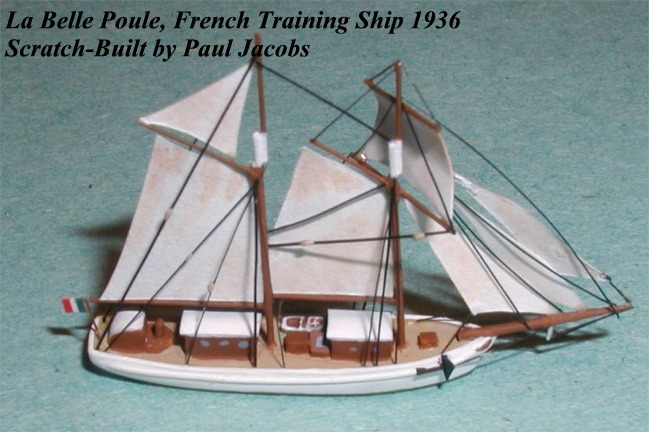 By Paul Jacobs. 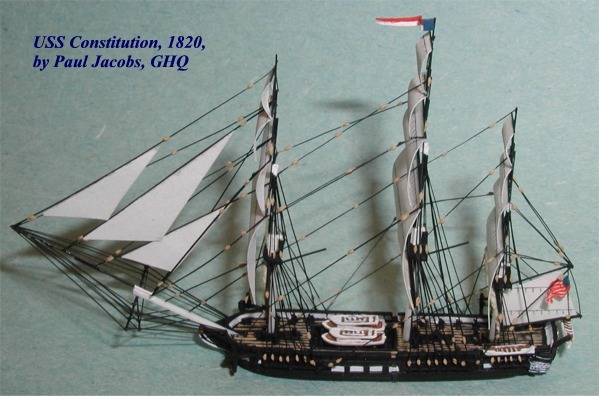 USS Constitution, 1820, 44 Gun Frigate, GHQ, #2 Rigging, new sails, and other modifications were made to the stock model. 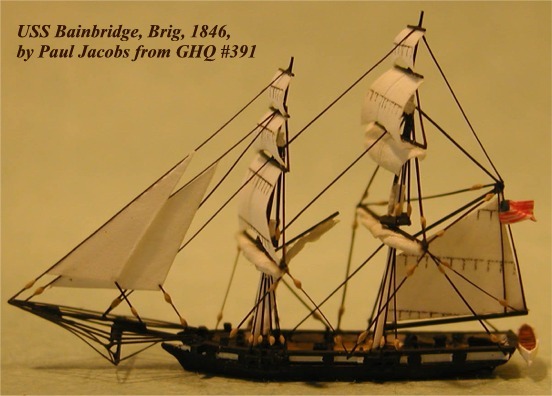 By Paul Jacobs. 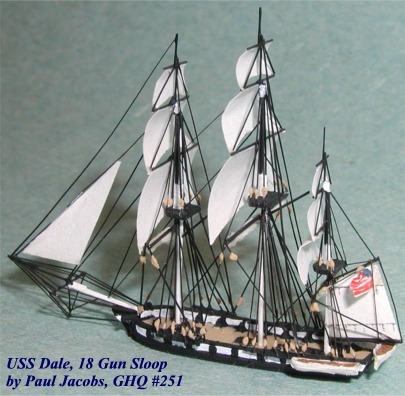 USS Dale, 1830, 18 Gun Sloop, GHQ #251, #2 Rigging, new sails, and other modifications were made to the stock model. 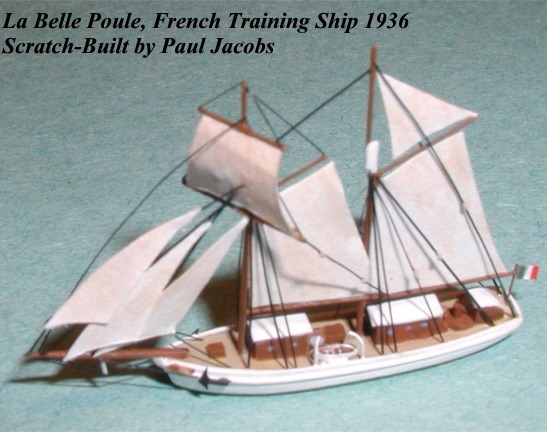 By Paul Jacobs. 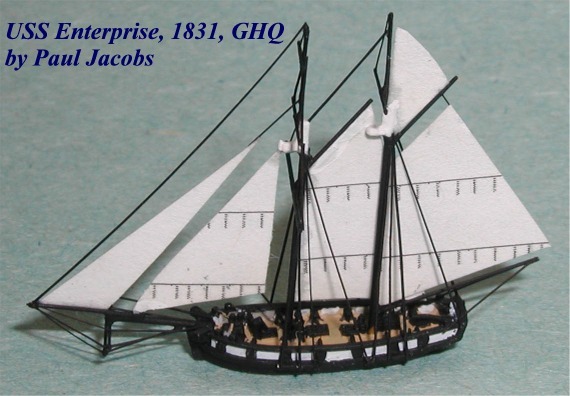 USS Enterprise, Schooner, GHQ, #2 Rigging, new sails, and other modifications were made to the stock model. 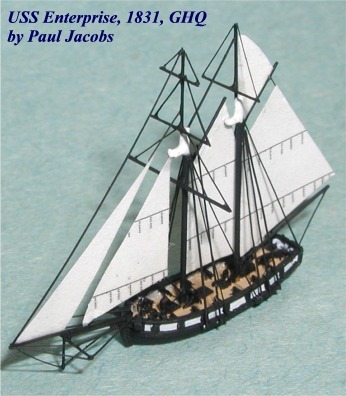 By Paul Jacobs. 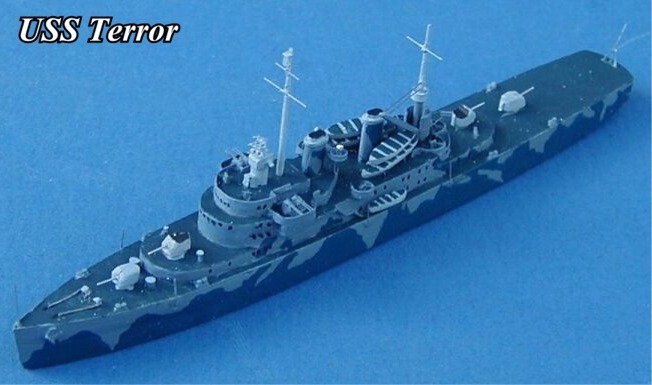 Satama Deep Harbor This is a diorama of Satama Deep Harbor by Eric Jarvinen.